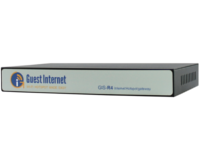 Not only do the GIS units allow you to manage guest logins, they help you to utilise your internet connection as a marketing and promotion tool. Using the simple wizard or one of the fully customisable templates you can display a login page featuring your logo, links to other resources and important information to your guests. Your page could feature current promotions, advertisements or simply promote your brand and is a great opportunity to target your guest directly. You can buy our gateways on their own to use with your existing Wi-Fi hotspot network or you can buy a complete kit with everything you need to set up a new Wi-Fi hotspot. Our kits are shipped pre-configured and ready to use out of the box. You just need to let us know the name of your Wi-Fi hotspot that your guests will see. Your Login page is the first thing your guests will see when they connect to your network and is a great opportunity to introduce yourself. Trying to increase your social media presence? The GIS units feature Facebook Login, allowing you to prompt users to "like" and "share" your pages, and allows you to collect user account details. Using login tokens you can take control of your guests' internet access, limiting time, bandwidth and data per guest. You can also block access and limit the number of devices your guest can connect. The GIS units allow an autonomous way of charging your users for internet access. 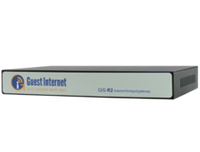 Guests can pay for internet access via PayPal or Credit/Debit card, handled by the GIS unit. Choose up to 10 different pricing levels with different time, bandwidth and data limits. Manage your users to take control of your internet. Block abusive users, monitor their usage, see user trends and device. Content filter for blocking web sites or categories of web sites. With the new GIS Cloud you can manage your guest access remotely on the fly. Simply log into your account and see usage stats, create codes, modify settings and more.